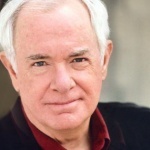 Kevin Cooney was born in Houston, Texas, and sang in various bands with friends. When he won a job with the Broadway tour of “The Best Little Whorehouse in Texas”, Kevin and wife Theresa took their three sons on the road and home schooled them for two years. “That was such a special time for us, for all three boys, too,” he added. Kevin has appeared on Broadway, in national tours, and in theaters across the country. His film appearances include Legally Blonde, Primary Colors, Charlie Wilson’s War, The Trip to Bountiful, Bring It On Again, Independence Day, Primary Colors, Austin Powers (2 and 3), Windtalkers and Full Moon in Blue Water. Kevin’s first movie role was that of booster Pete Peterson in the iconic football movie, North Dallas Forty. He has guest starred in many television shows, including Mad Men, Desperate Housewives, Cold Case, Medium, Nip/Tuck, Alias, The Shield, CSI, Scrubs, Without a Trace, NYPD Blue, Malcolm in the Middle, Will and Grace, King of Queens and as “Whitey” in The Fresh Prince of Bel Air.